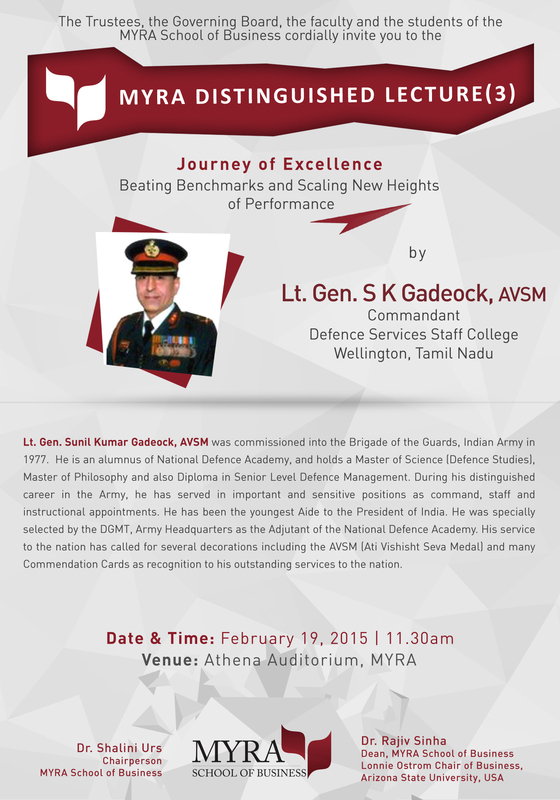 Lieutenant General Sunil Kumar Gadeock, AVSM was commissioned into the Brigade of the Guards, Indian Army in 1977. He is an alumnus of National Defence Academy, and holds a Master of Science (Defence Studies), Master of Philosophy and also Diploma in Senior Level Defence Management. During his distinguished career in the Army, he has served in important and sensitive positions as command, staff and instructional appointments. He has been the youngest Aide to the President of India. He was specially selected by the DGMT, Army Headquarters as the Adjutant of the National Defence Academy. His service to the nation has called for several decorations including the AVSM (Ati Vishisht Seva Medal) for his distinctive creation of infrastructural assets during Command of 9 Infantry Division and many Commendation Cards along his career as recognitions to his outstanding services to the nation.